The objective of this post is not to nitpick our sisters. 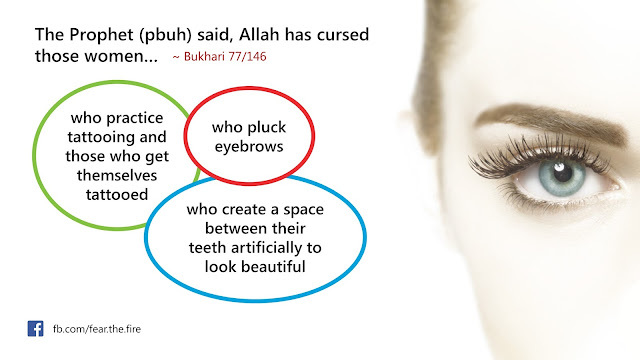 Women have a high position in Islam, be it a mother, wife, sister and daughters - check this out. However in the age of fitna today it is important for all of us to save ourselves from greater sins that makes it difficult to get mercy from Allah. In most of the cases either our ignorance has led us astray or our love for this world has not made us see the obvious. If that has happened for some sisters reading this post, and you wish to re-claim Allah's mercy, the easiest and the best way it so repent (aka Tauba) to Allah and swear that you wouldn't repeat it again. In Sha Allah (if Allah wills) you will be forgiven. The following guidelines are in black and white, with the intent that a God-fearing Muslimah will take them positively and save themselves from the wrath of Allah. 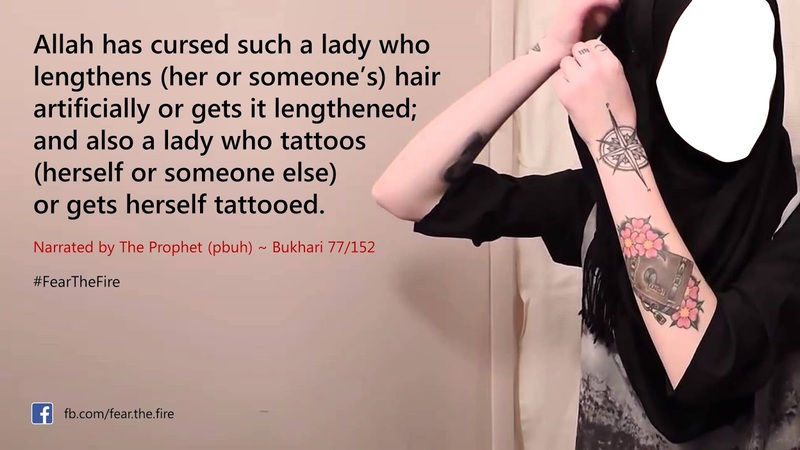 The Prophet (pbuh) forbade tattoo, for both men and women. 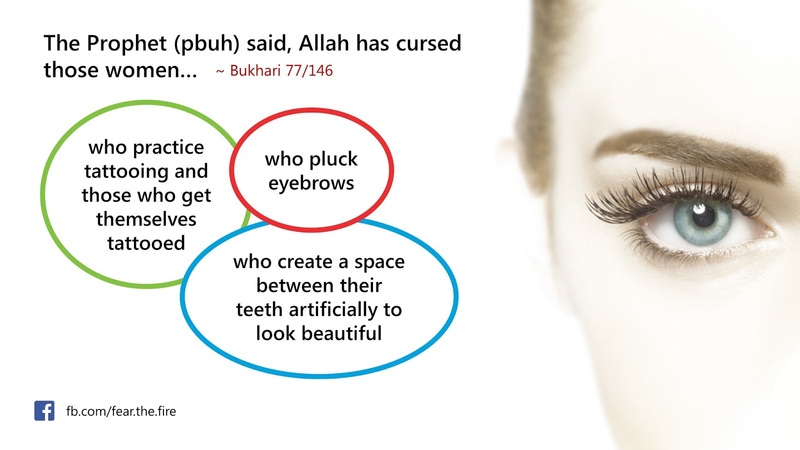 ~ Bukhari 5944. That's because a believer is not allowed to alter the creation of Allah. The above ruling is applicable for the doers and the one who gets them done. That's because a believer is not allowed to alter the creation of Allah. Frequent occurrence may lead the husband to get distracted and look for pleasure elsewhere. The illicit relationship will lead him to commit major sin and dent his existing marriage. If he has children, the separation is even worse. Women, for instance, are not allowed to dress like men (wear jeans, pants, t-shirts etc.). 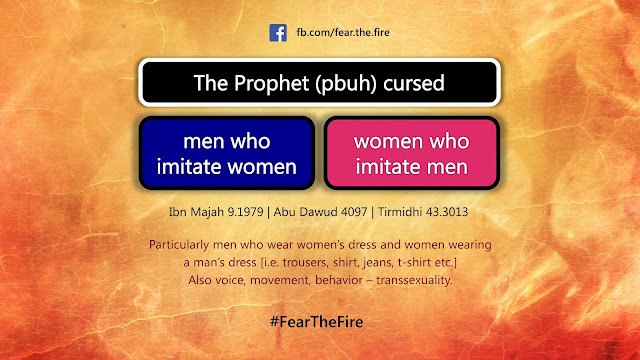 The man is not allowed to behave like a woman in terms of his movement, behavior and voice. 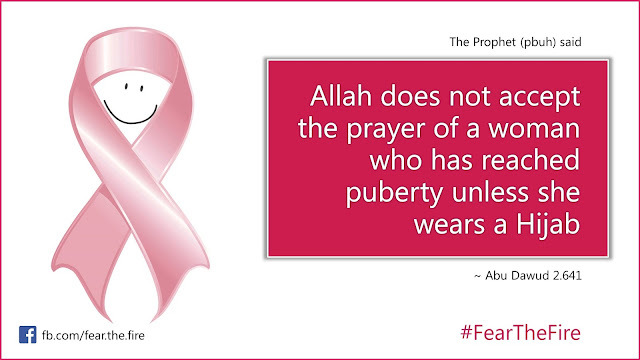 Respect how Allah has created you, as he has the right on your body more than you do. 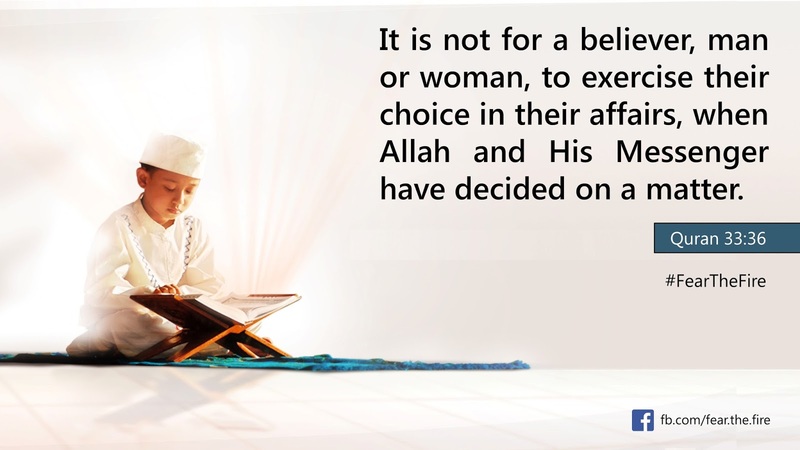 It is obligatory for a believing wife to obey her believing husband for the reasons mentioned here. 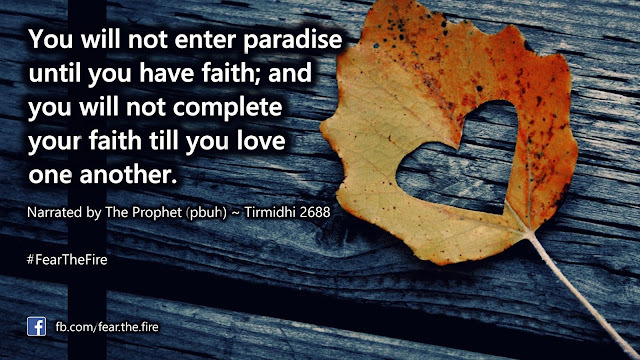 This obedience should not involve disobeying Allah. The Prophet (pbuh) said: “There is no obedience to any created being if it involves disobedience towards the Creator.” Just as the husband has the right to be obeyed, Islam also tells the husband to treat his wife kindly. It is not permissible for women to put on perfume, whether she is going to the mosque or anywhere else; rather it is narrated that women are specifically forbidden to use perfume when going to the mosque. 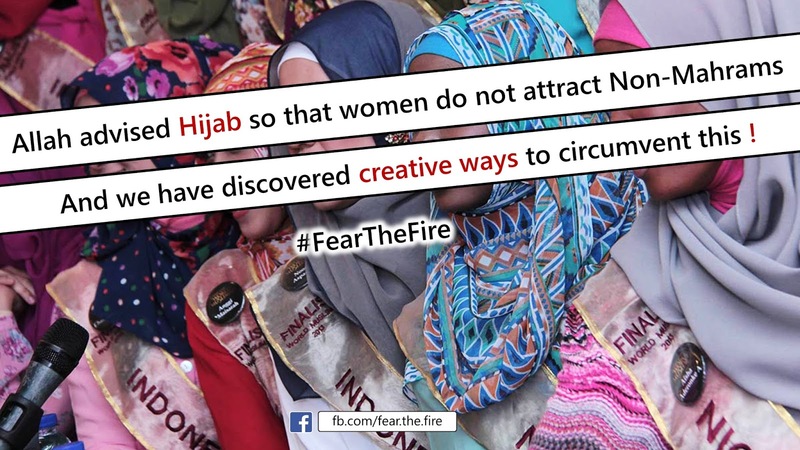 This is especially because the scent of a woman will arouse interest of other men and likely to compromise the dignity/modesty of the woman. 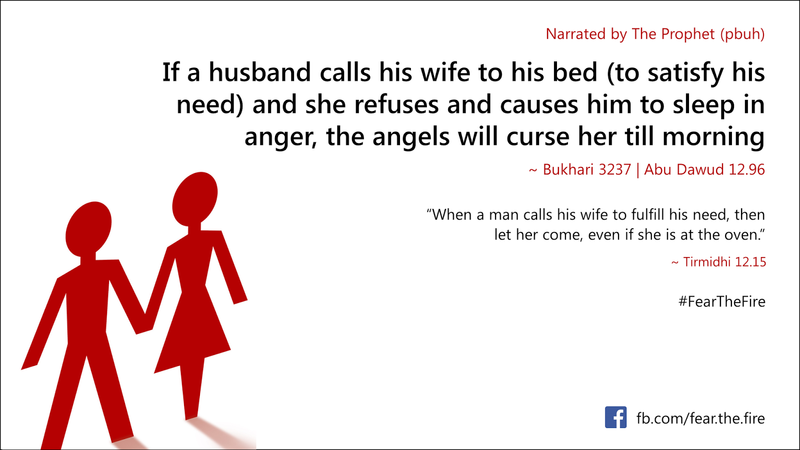 Such rulings in the Sharia is to safeguard and protect the woman. 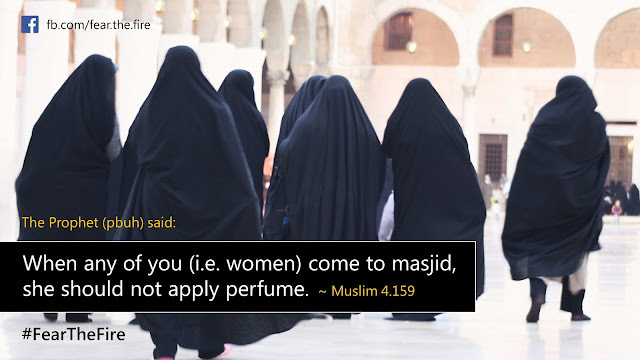 If the woman applies a scent for the sake of her husband, that's ok, so long as she is with the husband in her house. If she and her husband are going out together, she will have to remove the perfume by taking a bath. One of the condition of a hijab is that it should be loose so that it hide the curves. Thus one of the purpose of hijab is to prevent fitnah (temptation), and this can only be achieved if clothes are wide and loose. Tight clothes, even if they conceal the colour of the skin, still describe the size and shape of the body or part of it, and create a vivid image in the minds of men. While it is mandatory to wear hijab, it is equally important to wear it following prescribed guidelines. More on this here. Here's a snippet on how a lady understood the importance of Hijab. Such stories do help humans to get the gist of divine guidance. It is permissible for a woman to ask her husband for a divorce, if there is a reason for that to be permissible, such as if he fails to give her her rights or he wrongs her or mistreats her, and does not respond to advice to treat her well and be kind to her. 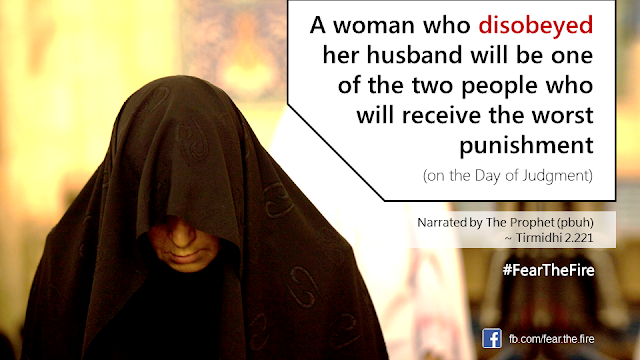 Before taking the extreme step the wife should talk to his parents/relatives to see if the husband falls back in line. However if all the attempts fail, then divorce is an option. 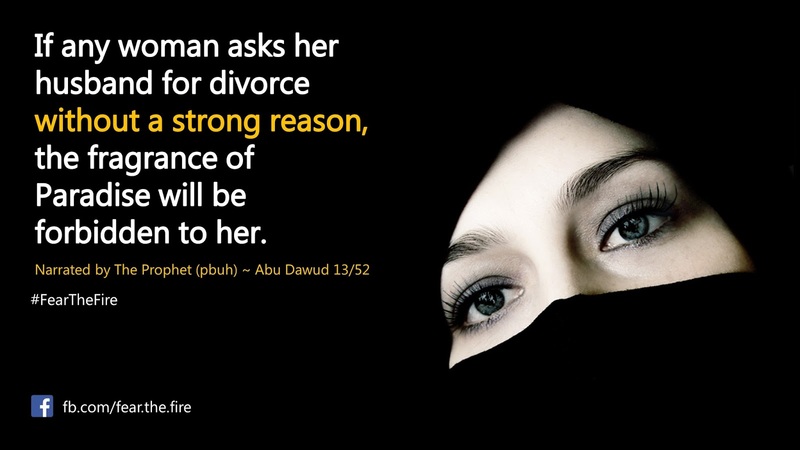 But if a woman asks for a divorce with no strong reason then it will be considered as a major sin from her part. More here. 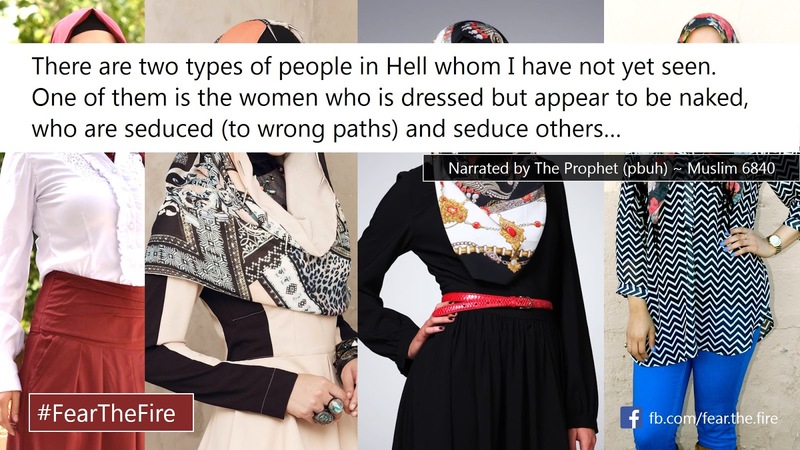 May Allah protect all the sisters from falling into any of the above mentioned categories. 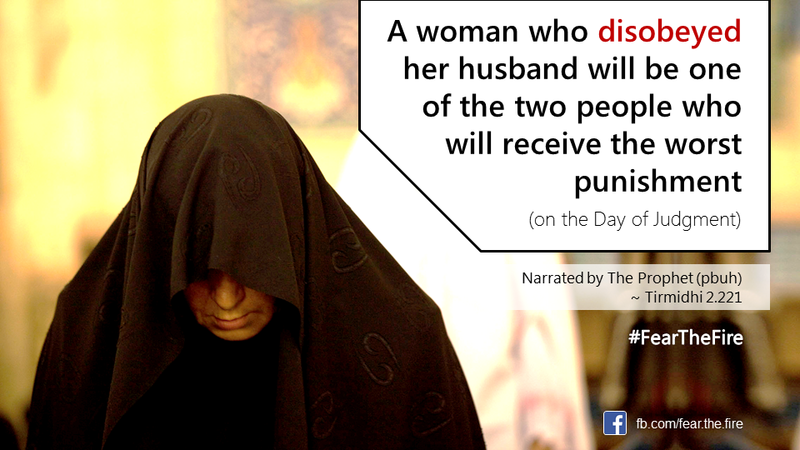 More on Women in Islam here. Quran 33:36 ~ It is not for a believer, man or woman, to exercise their choice in their affairs, when Allah and His Messenger have decided on a matter.